I just received an e-mail from the organizers of BADMath, a one day discrete math conference which travels around the Bay Area, asking me to remind interested parties that the registration deadline is coming up on Wednesday. 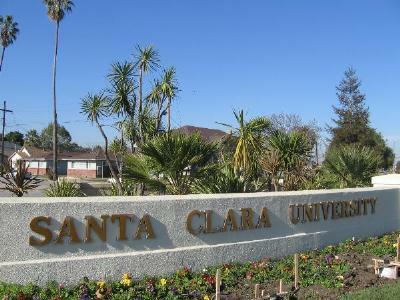 This year, BADMath will be at Santa Clara university on Saturday, April 24. Registration is free but mandatory. There are often carpools from the large Bay Area universities; if anyone knows if such have been planned this year, please post them in the comments. I won’t be making it to the West Coast this year, but past BADMath’s have been excellent. They usually have varied and fun speakers, and a lot of time for socialization. I’ve heard Dylan’s talk before, and can promise that it is very good; a mix of graph theory, algebraic topology, and algebraic geometry. Berkeley carpooling is being arranged by Raman Sanyal. Theoretical question, as it’s past the registration date…is it OK for random but interested people, not attached to any academic institution, to turn up to something like this? I can’t speak for BADMath in particular, but at most math conference, this would not be a problem. Certainly lack of institutional affiliation shouldn’t be. I’m not an organizer, but I’d expect it would be fine. If you want an official answer, you could shoot the organizers an e-mail.